Surefire trap and grime beats for the warriors; and we do mean the warriors! 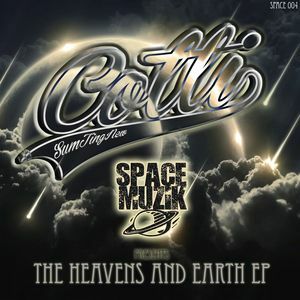 British Jamaican Cotti just happens to be Space Muzik's label boss, so who better to take the helms on this one than the man himself. Starting off with the full frontal assault of "Starfleet" featuring one of the most grinding basslines we've heard all year, no competition. Things get more sci-fi on "Starfleet" with its laser zap melody with rapid fire high hat triplets, firing about the place above some suspenseful strings. "Garden Of Eden" goes for the straight up trap sound, its bleeps and pianos supported by some snares that'd make even Baauer stand up and notice. Finally "Blackhole" is quite frankly one of the grittiest grime experiments on record which stutters and warbles about the place like a Playstation computer virus by way of Croydon.